What is the tissue specificity of TF? Transferrin is synthesized mainly in the liver. What is the calculated molecular weight of TF? How many iron atoms can bind to TF? releases free H+ ions, affinity decreases in acidic conditions, in which TF also remains bound to its receptor. What is the primary role of TF? TF serves as a serum metal-binding protein, playing a key role in iron metabolism and delivery for erythropoiesis. What is the role of TF in human diseases? 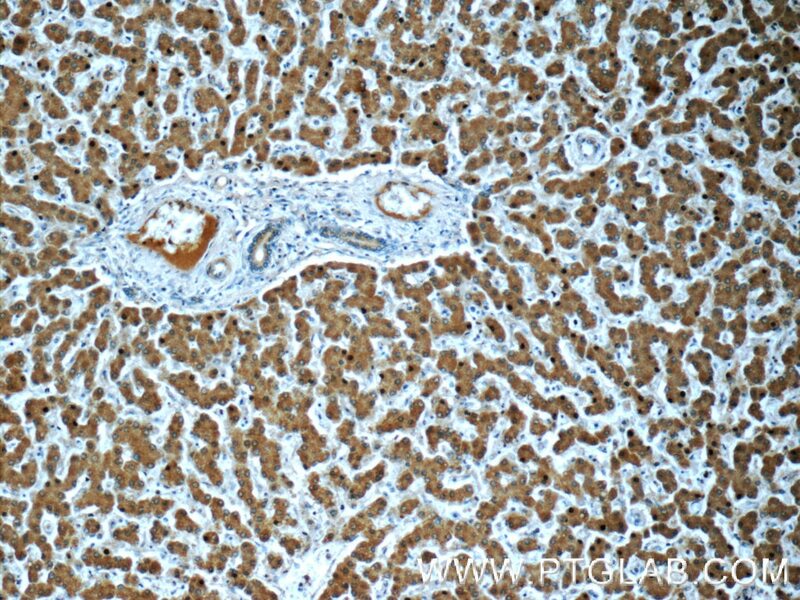 decrease in hepcidin expression, causing increased iron levels. Is TF essential for iron delivery? Congenital atransferrinemia results in an iron overload in some tissues, such as the liver, suggesting that while TF is not essential for iron delivery to all organs, it is needed for iron level regulation. In what circumstances do TF levels decrease? Inflammation and iron overload both can cause a decline in TF levels. How does TF affect hormonal balance? 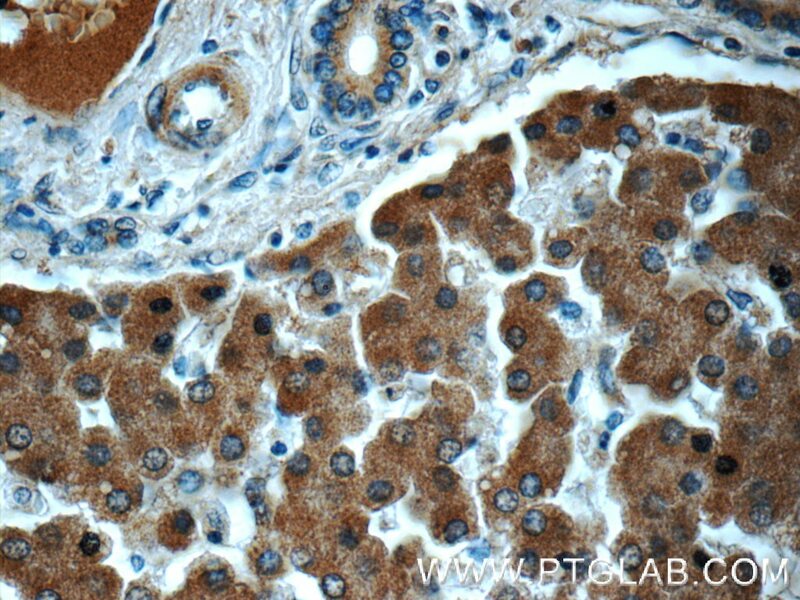 TF positively regulates expression of hepcidin, a peptide hormone synthesized by the liver. How does TF deficiency cause increased iron levels? deficiency causing both anemia, and, paradoxically, increased iron levels in some tissues. 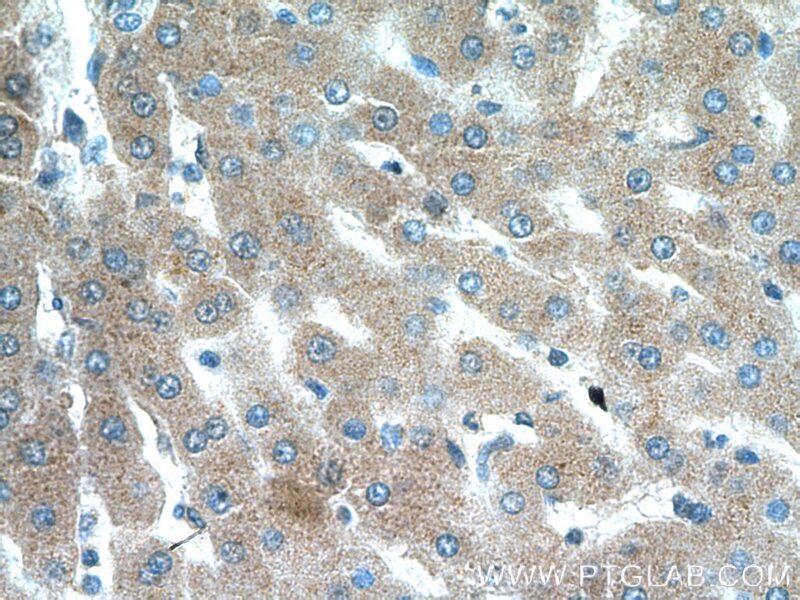 Immunohistochemical analysis of paraffin-embedded human liver tissue slide using 66171-1-Ig( Transferrin antibody at dilution of 1:500 (under 10x lens). 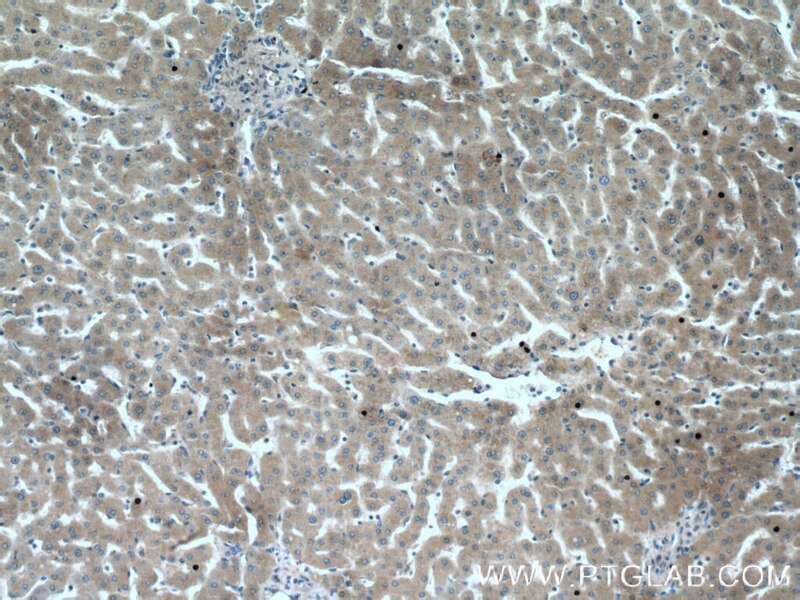 Immunohistochemical analysis of paraffin-embedded human liver tissue slide using 66171-1-Ig( Transferrin antibody at dilution of 1:500 (under 40x lens).